The “10 rules” series resumes with award-winning translator Dr. Samah Selim. 1. Think about register. Every essay, novel or story projects a particular and unique language register. A really important part of translating fiction is capturing and rendering that register in English. It’s easy to fall into the trap of overly stiff or archaic prose on the one hand and too-easy colloquialisms on the other. Be consistent. 2. Always read for pleasure and when you do, get into the habit of wondering from time to time how you would translate a particularly gripping sentence. 3. Go through as many drafts as necessary to get it right and go through the final draft one last time before sending off your manuscript. 4. Fidelity to the text means marshalling the courage to be creative. Don’t be afraid to take liberties here and there when sense and music require it. 5. Never translate a book you don’t like unless you have to. 6. Conspire with other translators. Join an on-line forum or translators’ association. Know your rights and your worth as a translator and donate your time once in a while to a good cause : PEN in translation, The Society of Authors’ Translators Association, Tlaxcala. 7. Work with different kinds of genres, texts and authors as much as possible. Don’t get stuck in a rut. 8. Use your instinct and your craft. Don’t worry about what the philosophers are saying. 9. Language is rooted in sociability. Visit a country where your target language is spoken at least once a year. Better yet, go live there. 10. Late at night, when you’ve got nothing better to do, think about why you translate. 11. If you have this luxury, translate old things, the stuff that falls through the cracks for all the wrong reasons and whose copyright has expired. Publish it online or smart-talk a publisher into taking it on. Also check out ‘copyleft’ as a democratic option. The messenger of death (the swindler, the able one) removed his silken garments, his ornamental necklaces, earring, and anklets, and disguised himself as a live fish swimming in sweet water. The messenger of death (the swindler, the able one) removed his silken garments, his necklace and earrings. The messenger of death and lover of ornament (the swindler, the able one) removed his robes of silk, his necklace, earrings, and anklet and disguised himself as a large live fish swimming in a sweet-water well. “Come,” the master of the house called out to him in the language of the fish. The messenger, reaper of souls (the swindler, the able one), removed his robes of silk. 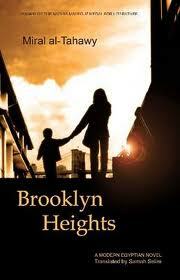 2) Brooklyn Heights, by Miral al-Tahawy. 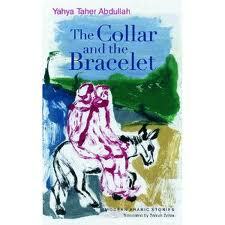 I’m not sure this book has yet won an award (outside of the ArabLit “best translation of 2011). But it will. 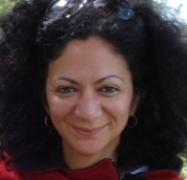 Al-Tahawy took the Naguib Mahfouz Medal for the book, and was also shortlisted for the 2011 International Prize for Arabic Fiction. And Selim’s translation fits it well. 3) Tree of Pearls, Jurji Zaydan. Or Selim could have been referring to Jurji Zaydan with #11, although Zaydan’s grandson has recently started up a project to translate the important Lebanese author’s works into English. Selim won the University of Arkansas Center for Middle Eastern Studies translation award for the book, which is forthcoming from Syracuse University Press this year. Thanks Samah Selim. You really summedit up. Take the liberties, be creative, help a cause, and most importantly, ask yourself: why do you translate?